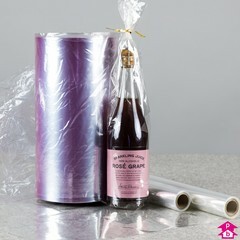 High Gloss film on small rolls for presentation wrapping and retail shrinkwrap rolls for protecting products on display such as books, videos and games. 3 Products. 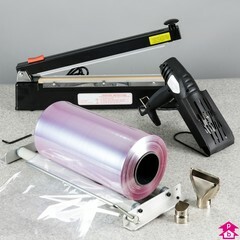 Crisp glossy film on light manageable 20metre long rolls for wrapping your display or sold items. 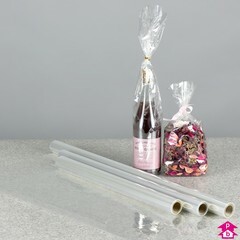 This is a great natural alternative to Cellophane wrapping and a superior product in strength, clarity & feel (Cellophane is a paper based extract, Polypropylene is a polymer based extract, a by-product of oil production). 7 Products. These are the rolls that go with the PVC shrink kit - choose the roll width according to the product you are shrink wrapping and whether you have a 400mm or 800mm wide kit.